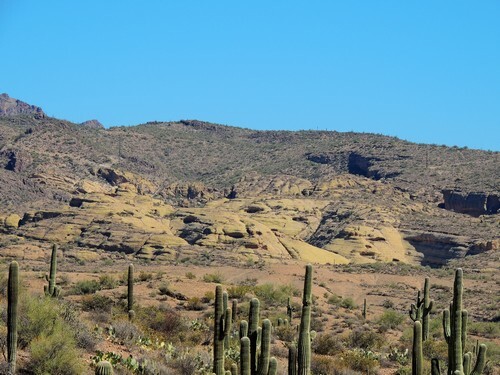 Take a break from the rat race on Apache Trail. 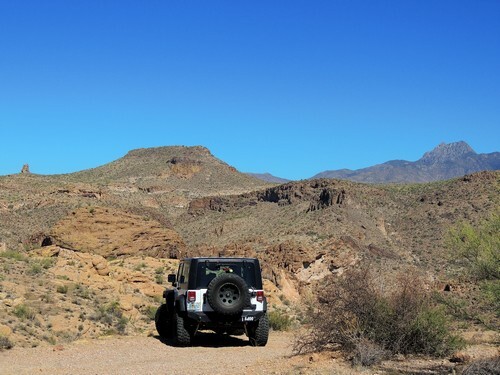 Drive a short Jeep road to overlook the rugged country north of Tortilla Flat. Wonder about the history of a guy named 'Hoss" and snag a couple geocaches if you are into that. One geocache at the ends of both forks. Mostly this is a way to spend 2-3 hours in beautiful country with nobody else around (usually). 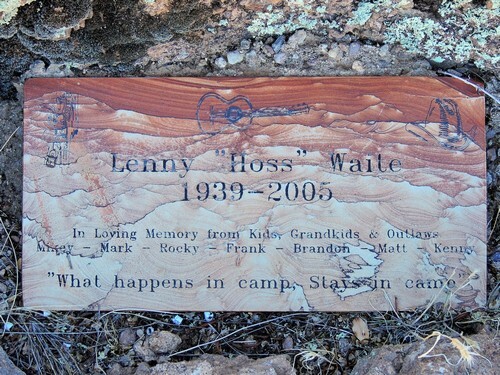 ​There is a plaque honoring Lenny "Hoss" Waite at the end of the right fork road. We know nothing about the gentleman, but he is the reason we named the trail Hoss. 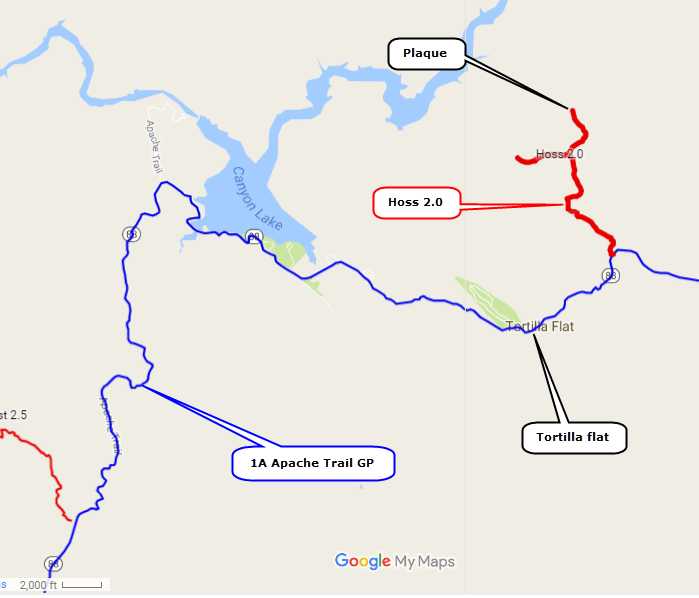 The road going in from Apache Trail is bumpy in most spots and a bit scratchy, as are most minor trails in this area. High clearance is certainly required, and some vehicles will need 4WD on a couple hills. Nice scenery along the way. Take the right fork to see the plaque. It is just over the edge from a parking area at the end of the road. 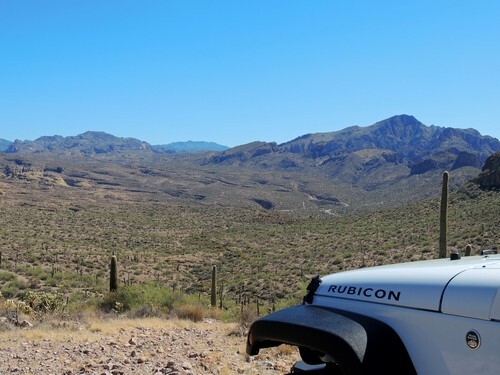 There is a short cliff just ahead of the Jeep and it is at the base of that. Beautiful area for a memorial. 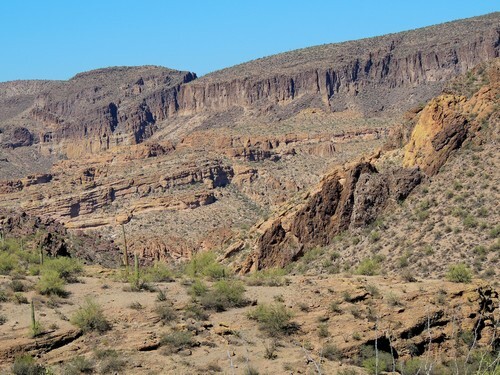 There is a very rugged canyon here but I was unable to do it justice with a camera. You will have to drive in to see it. 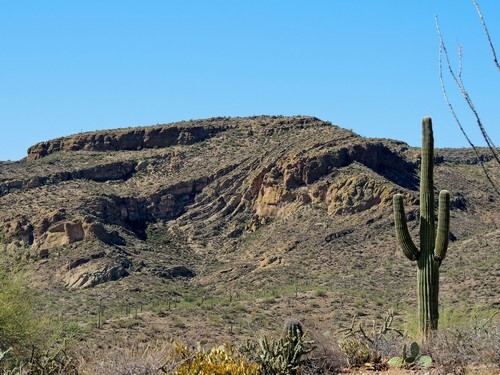 The left fork has views of a canyon that drains into Canyon Lake, but you cannot see the lake. 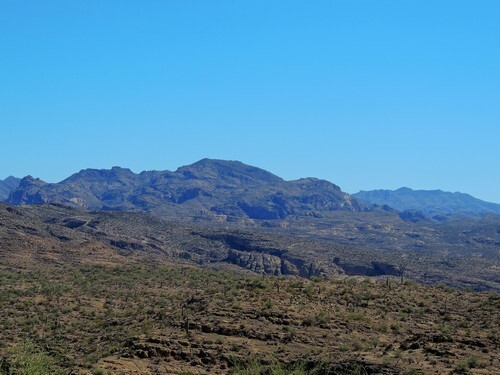 It ends at a high spot where you can look back at Apache Trail.